Marooned In Marin: Was Daddy Bergdahl In Contact With Al-Queda? Why Were Bergdahls Allowed In On Secure Briefings? Was Daddy Bergdahl In Contact With Al-Queda? Why Were Bergdahls Allowed In On Secure Briefings? 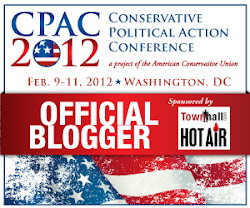 Interesting find from blogger named Lady Liberty (Doug Ross Journal). 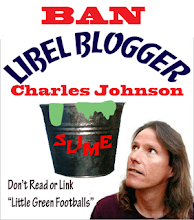 Liberty Speaks co-blogger "Lady Liberty" contacted me earlier today with some interesting information. It would appear that the father of Bowe Bergdahl, the AWOL/deserter swapped for five bloodthirsty terrorist leaders, has been in communication with member(s) of Al Qaeda. 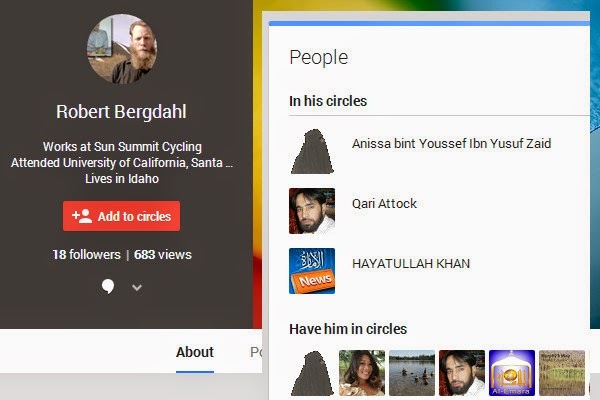 On Google Plus, Robert Bergdahl's contacts include one "Anissa bint Yusuf Zaid Ibn Youssef." And just who is Anissa? From this link (translated), she would seem to be a 10-year member of an Al Qaeda technology support team. I thank Allah (Subhana Wa'a Ta'laah) for guiding me on the path of truth, righteousness and justice, which is the Path of Jihad. Agradezdo my beloved brothers and sisters of the Scientific and Technological Committee of Al 'Qaida and TTP, as also to the various centers Translations of the Jihad, Al Al'Qaida General Command and the Taliban who have allowed me to develop and exhibit my work over 10 years. There's a lot more going on with Robert Bergdahl than what's been marketed in the media. Remember the reason forhis beard? As for the beard, Robert Bergdahl grew it as a way to mark the time since his son was captured in 2009, and also as an attempt to curry favor with his son’s captors, according to the Post account. He studied Pashto, a national language of Afghanistan, in an effort to familiarize himself with the culture of the place where his son was a prisoner. Based on Bergdahl's YouTube channel, however, there's more than meets the eye. The age and history of these social networking accounts point to the fact that they are genuine. Yeah, those beards from father and son were a big question mark, especially when the gave the Islamic greeting. I didn't think they were planning to start a ZZ Top tribute band anytime soon. And if this is the case, why were Bergdahl's parents all allowed to reportedly sit in on secure video conferences? The White House allowed the parents of Army Sgt. Bowe Bergdahl to take part in a series of secure video conferences with State Department and intelligence officials and senior military commanders, according to a published report. The Washington Times reports that Bob and Jani Bergdahl were allowed to join the conferences remotely from the Idaho National Guard headquarters in Boise soon after their son was captured by the Taliban in June 2009. A spokesman for the Idaho National Guard told the paper that the Bergdahls participated in up to 20 video conferences per year. "Mr. and Mrs. Bergdahl were regularly informed about what was happening throughout the duration using video teleconferencing [with] various military and other government agencies," said Air Force Col. Anthony Marsano. "There was a great effort to keep Mr. and Mrs. Bergdahl updated on developments." Larry Johnson, a former State Department official who worked on the cases of American citizens taken hostage in Lebanon during the 1980s, told the Times that granting such access to the family of a missing person was "wrong." "The Bergdahls shouldn't have been part of that for no other reason than on the off chance they may inadvertently divulge some tactic," Johnson told the paper. "I mean, it's one thing for government officials to interview the family, get insights from the family about what’s going on. "But to put them in the middle of what is essentially a classified secure video conference is ridiculous."